Home Precision Medicine Research What’s Best for Baby’s Genome? Newborn screening is mandatory in most states unless parents refuse for religious or other reasons. Screening is generally accepted because screening is only performed for a small number of conditions where measures are available to save the baby's life or mitigate the harms of such conditions if found early enough. However, now that scientists have developed methods for sequencing the entire genome, what would happen if states began incorporating genome sequencing to find out more about baby's health? How would that work? 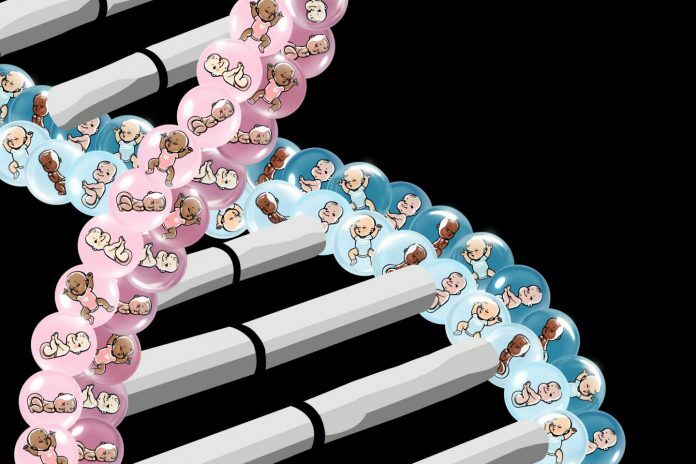 What should parents learn about their baby's genome? What shouldn't they? NSIGHT was developed to address these questions. Moreover, the consortium will look to work with parents and conduct genomic sequencing on newborns to develop evidence that may support guidelines for how this new technology could be effectively and appropriately incorporated into newborn screening or the care of newborns. A classic example is Huntington's disease. Is it the right of the parent to know that their child harbors the genetic lesion that underpins this terrible disease, even though manifestations are unlikely to develop until adulthood? What about an untreatable neurodegenerative disease that will present during childhood? What if early intervention might help, but the disease might not present until the child is an adult? “Technology is forcing this decision-making process on us,” Dr. Berg noted. The cost of genome sequencing has plummeted in recent years, meaning the national public health system and the broader medical community need to figure out how to address these kinds of issues, and soon. Through the NIH-funded NSIGHT consortium, researchers and doctors are laying the groundwork. Diagnostic: using genome sequencing to find the specific genetic causes of congenital anomalies or unexplained illnesses in babies admitted to neonatal intensive care units. Preventative: using genome sequencing to screen healthy newborns for preventable or treatable conditions that genetic sequencing could detect or help confirm. Predictive: using genome sequencing to explore the entire genome of the child, as a resource for health care throughout the course of the child's life. Currently, NSIGHT members are consulting with parents and soon-to-be parents to learn about their concerns and their personal decision-making processes regarding genome sequencing for various purposes, including finding health information that could be clinically useful immediately.